Design and directing for projections, video installations and films. Film and theatre project summaries for Alex Koch. La Casa de los Espiritus is Caridad Svich’s deeply entertaining, heart-breaking and surprising adaption of Isabelle Allende’s novel. The production, originally performed at Repertorio Espanol directed by long-time Koch-collaborator Jose Zayas, has toured throughout Chile and played sold-out houses in Santiago, Chile, Washington, DC, and San Jose, Costa Rica. It is appropriate that a play spanning generations and parsing interpretations of morality, unique personality and love should have so many incarnations; each has been an opportunity to reexamine the relationship of projection to actors as a story-telling medium with a definitive point of view. The GALA Theatre production was featured in the 2013 May/June issue of American Theatre Magazine. Alex Basco Koch has designed projections for over one hundred plays, musicals, films and immersive art events. 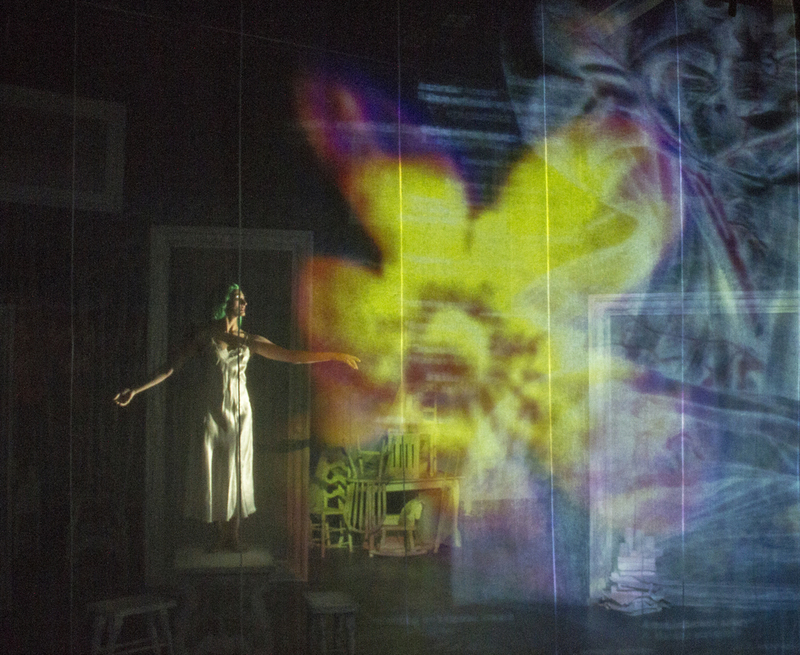 Alex's projection design work has been seen on Broadway, Off-Broadway, in regional theaters across the US, and in Central and South America and Europe.